Earlier this month County Administrator Eddie Favre sent the following letter to Phillip’s Pest Control. No good deed goes unpunished but what about the bad ones? 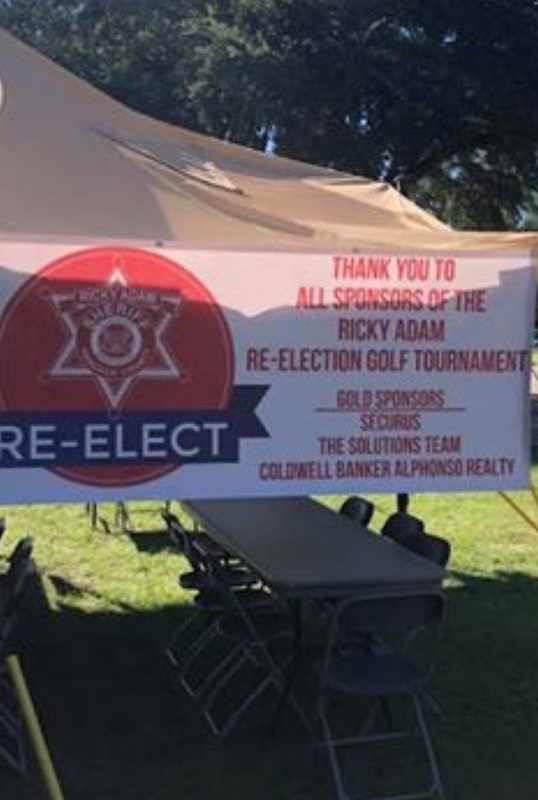 Being as this is an election year I imagine people have already complained about certain candidates use of the County EMS tent and allegedly trustee labor for their political fund raisers up to Jackson. Pictured above is from Sheriff Adam’s campaign event. Supervisors voted unanimously to have Bay St. Louis Rotary Club be given notice that the bottom of their signs which advertise their personal, for profit businesses have to be removed. The public information on keeping the beaches clean is okay. The removal has to be done by this Friday, April 19, or County Road Administrator’s beach crew will remove them. Author Douglas HandshoePosted on April 17, 2019 April 17, 2019 Categories SopTags 2019 Mississippi Elections, Hancock County Board of Supervisors4 Comments on No good deed goes unpunished but what about the bad ones?